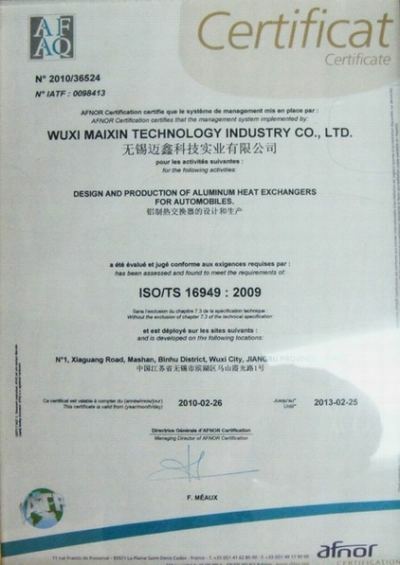 Company Overview - Wuxi Xinsheng Heat Exchanger Technology Co., Ltd.
Xinsheng (Wuxi Xingsheng Heat Exchanger Co., Ltd.) was founded in 2001, with 300 employees and the production capacity of 500 tons/month now. 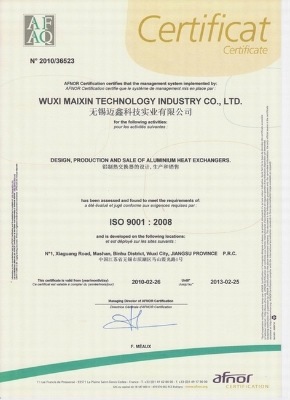 We are an experienced manufacturer of aluminum bar-plate heat exchangers and tube-fin heat exchangers. Until now, we have got 27 fin punching machines, 6 vacuum brazing furnaces and 1 noclock line. 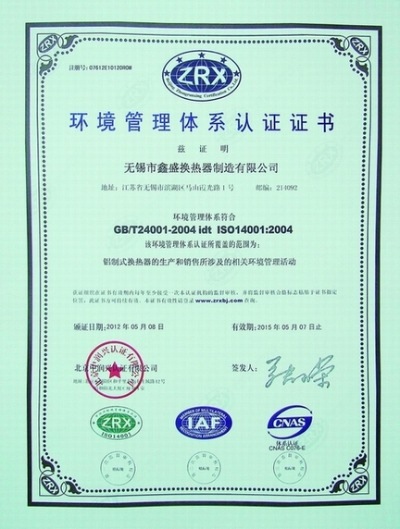 In 2003, Xinsheng acquired independent import & export certificate, ISO9001 certificate, CE certificate and TS16949 certificate. Currently, we are applying for the ISO14000 & OHSAS18000 certificates. 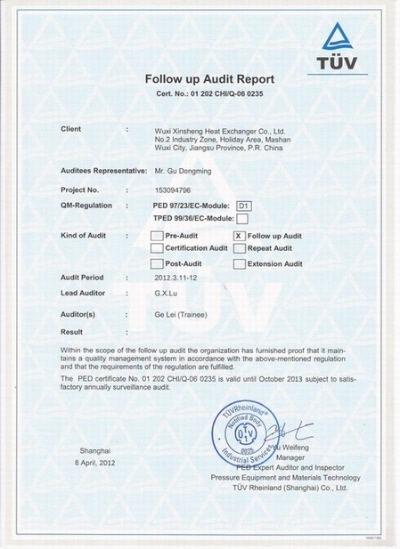 In 2011, Xinsheng reached the turnover of 22 million US dollars. Most of our products are sold to large-scale construction machinery companies in China and our foreign markets mainly include Europe, Asia and North America, covering the industry of OEM market, compressor, construction machinery, hydraulic system, generation and wind power. 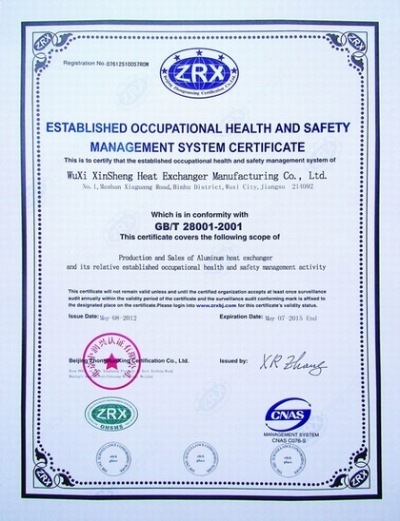 Xinsheng's main strength is advanced R&D equipment and strong technical teams. At the second half of 2009, we invested large amount of money in establishing product performance laboratory, including the testing equipment like wind tunnel and pulsation bed. And soon, we will introduce a thermal aging bed and vibration bed. Based on the advanced equipment, our design can fully meet customers' performance and warranty requirement. Moreover, all our products have been 100% tested even under the most arduous working conditions.